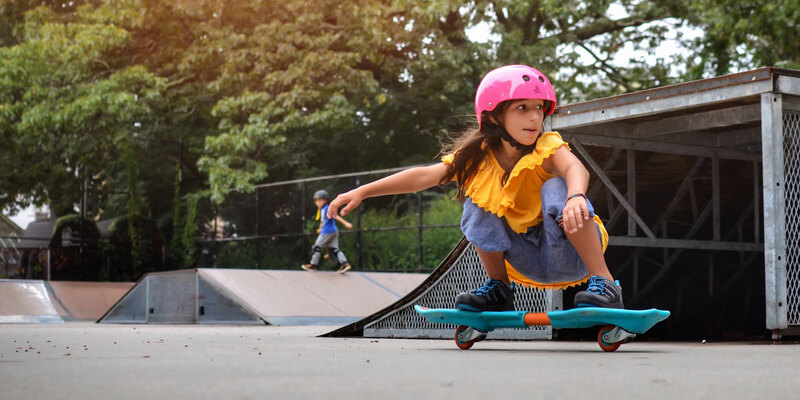 Mom of two, Monica Marino (@marinobambinos), has come to realize the importance of making time for play, even—and especially—in the midst of a hectic school year. There they go. 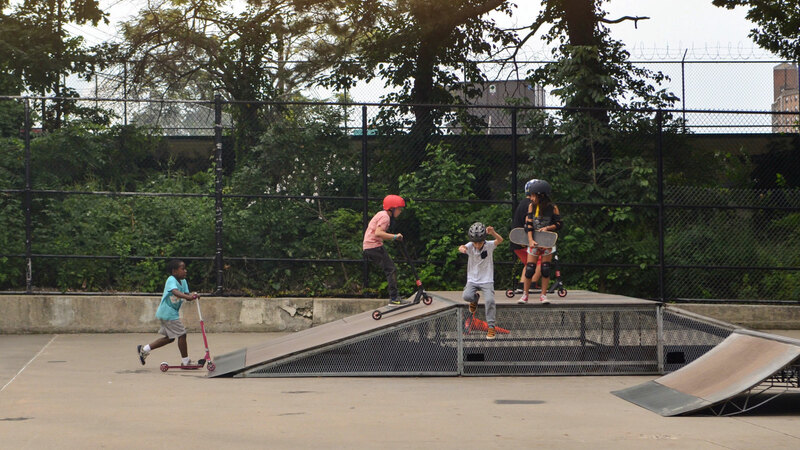 Off the skate ramp, through the waves, up the fence, across the pavement—at what usually feels like lightning speed. Both my son (7) and daughter (9) have entered a new phase of adventuring in ways that sometimes make me place my hand over my heart and trust in the sort of hard-earned confidence that can only come from pushing the limits. The fluidity of the summer months gave the kids as much time as they liked in the ocean and on anything with wheels. 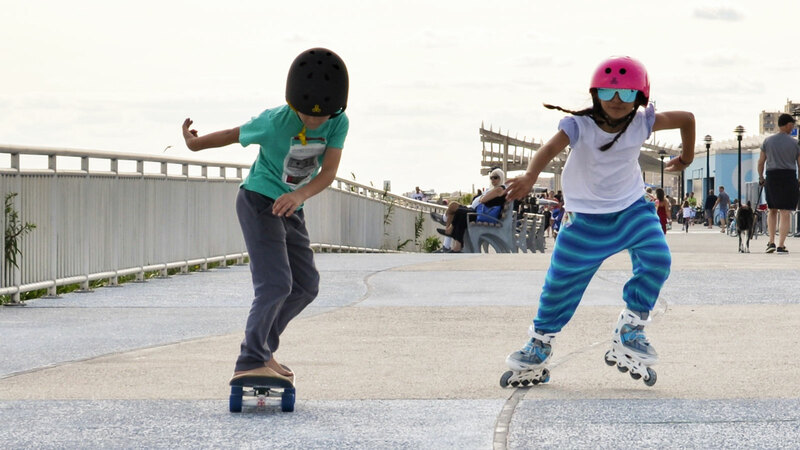 They charged hard and fearlessly towards their goals: blasting down concrete ramps, surfing, body boarding, and focusing on just being kids. From a distance, I watched them fall and get back up again. I watch them repeatedly get pummeled by waves. Sometimes, I got a thumbs-up through a fence or from the water signaling, "I'm OK, Mom!" Other times, they'd let me know they had enough for the day. But most days, the kids just wanted to keep going. They’re so resilient. 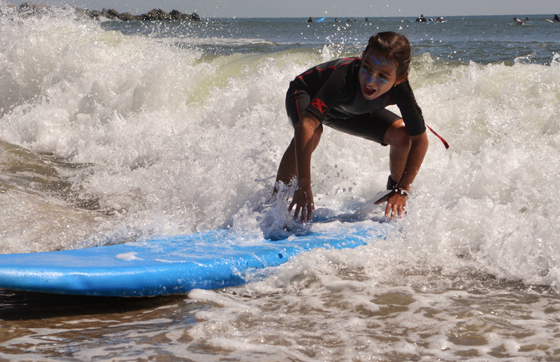 My daughter never allowed herself to miss the chance of catching a wave at surf camp, even on the cold and rough days. 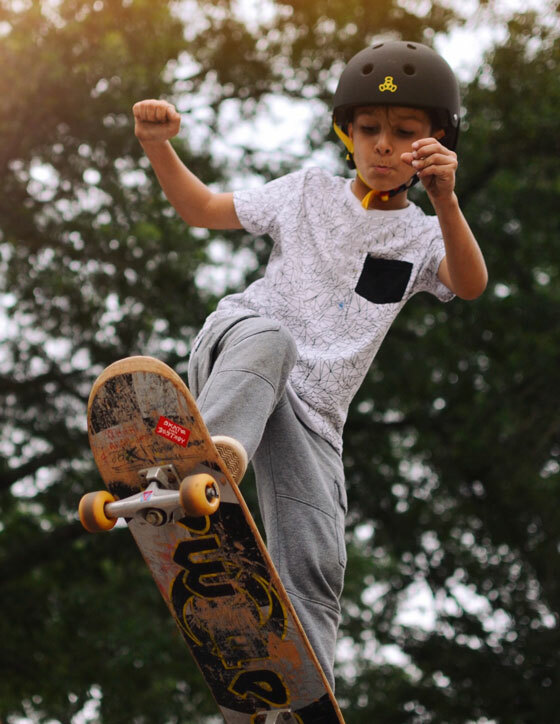 And my son is still waking me up with pleas to go to the skatepark every day. 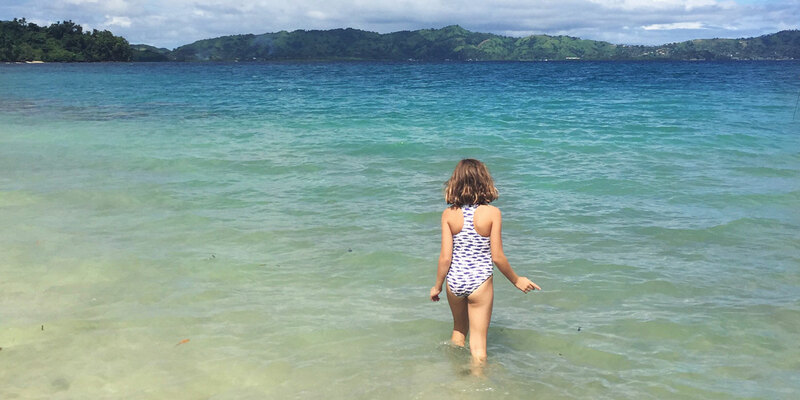 Our rhythms have changed with school back in session, but my kids have cruised into the school year with lessons gleaned from the summer months. 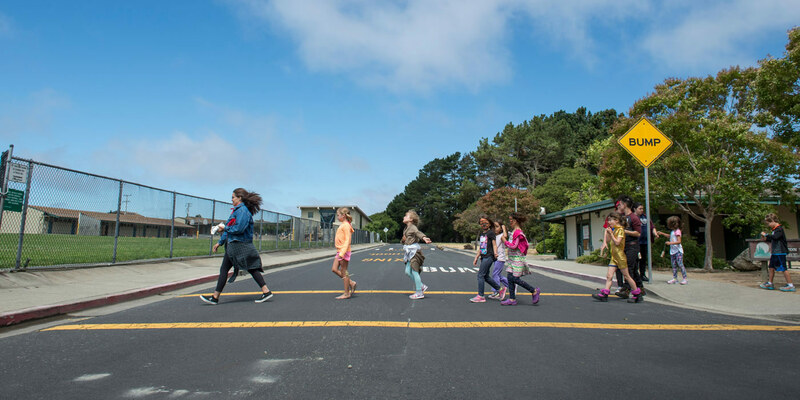 Among the most important, for me, is the reminder to protect my kids’ innate need for outdoor play as academic demands, and scheduled classes and activities roll in. When my kids are outside together, they gravitate toward each other, and a natural curiosity ignites. 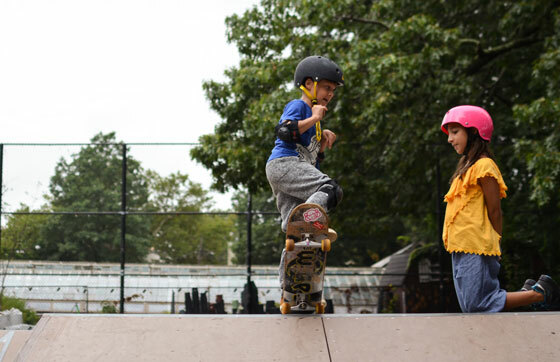 They teach each other tricks, pass around their boards and wheels, cheer each other on, and find their way among the teens and bigger kids. They maneuver taking turns while learning about respect, and they get to focus only on having fun. So many times, a simple trip to one destination leads us to another, with a gaggle of friends collected along the way. Organized activities turn into a hunt for bugs, an epic collective sandcastle, or a made-up game. When improvised playdates are built from scratch, any area can be a suitable playground—all they need is a bit of imagination and a will for fun. Now, more than ever, I find it crucial to protect my kids' right to play, along with their interest in taking on bigger risks. When school or homework or tests get tricky, I'll ask my daughter to tell me how she felt when she stood on a surf board and rode the pre-storm waves all the way to shore. I'll remind her of the encouraging words from her 17-year-old surf instructor who is girl-power personified. I'll talk to my son about how he stood up on a surfboard on his first try. I'll also tell him stories of the many times that he dropped into a bowl on his skateboard only to land smack on his back. We'll talk about how he threw his arms up in the air in delight on the day he landed that coveted trick, while the big guys helping him cheered him on. I'll let the kids loose outside, and I'll make sure that they have time to be free. I’ll make time for play.